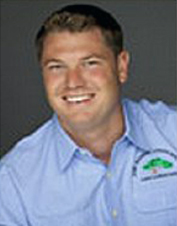 John Madison is the founder and active president of John Madison Landscape of Orlando, Florida. John utilizes his horticulture expertise, artistic talent, and terrific marketing and coordinating skills to allow John Madison Landscape to stake its claim as Central Florida’s premier landscaping contractor. John served in the Florida Army National Guard for eight years as a Light Infantry 60mm Mortarman. This experience, along with John’s vision to build a spectacular organization, has enabled John to be a structured, loyal business owner. John loves to give back to the community and does so by giving to those who are less fortunate or those who served the country. In addition to his support of Building Homes for Heroes, John works with the Ronald McDonald House.